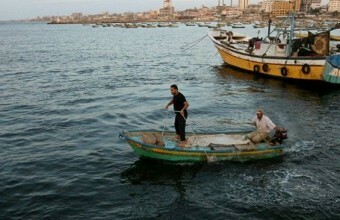 Israeli navy ships attacked, on Friday morning, several fishing boats in Palestinian territorial waters, north of Gaza City, and abducted three fishermen. Media sources in Gaza said the navy attacked the boats less than 3 nautical miles from the shore, west of the Sudaniyya area, north of Gaza city. The added that the navy also abducted three fishermen, identified as Mohammad Ghaleb Sultan, 27, from the Salateen area, in addition to Yousef Farid Sa’dallah, 35, and Fares Ahmad Sa’dallah, 25, from Jabalia an-Nazla.